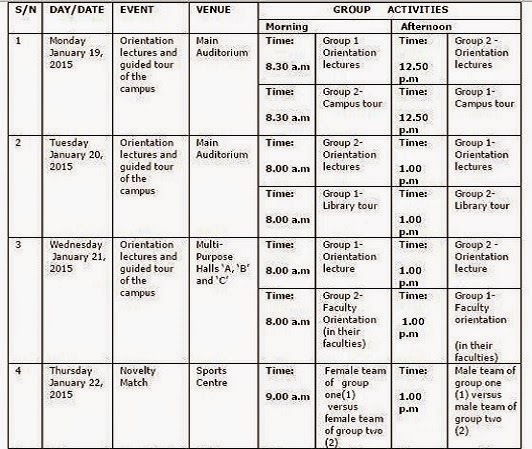 The 2014/2015 Orientation Programme for fresh UTME and Direct Entry Students of the University of Lagos will begin on Monday 19th of January 2015 at 9:00 a.m. The take-off point for the campus tour is the front of the Main Auditorium. 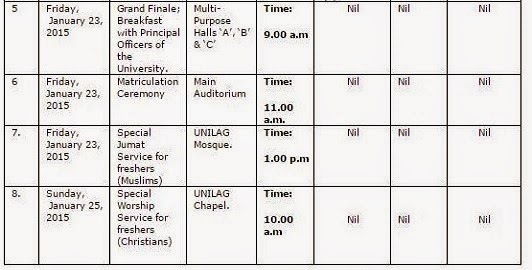 From my experience, this is about the most interesting orientation programme I have witnessed in Unilag considering the events schedule above. 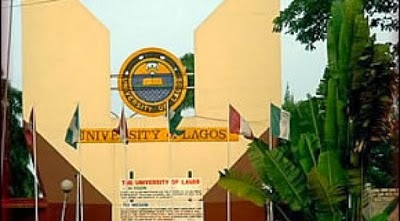 Kudos to the current Unilag Management. Stay in touch for more news updates on tayolawal.com, click here and follow the guide. Yesso @Funnyfaces I have noticed some improvements since the new DSA was appointed, it ll be gud if they continue this way and also address other issues that need to be addressed.